Debenhams has remained tight-lipped on whether any of its five stores in Northern Ireland will close following the announcement the troubled retailer had called in auditors to consider "closures and insolvency". The retailer employs 27,000 staff across the UK and Ireland. 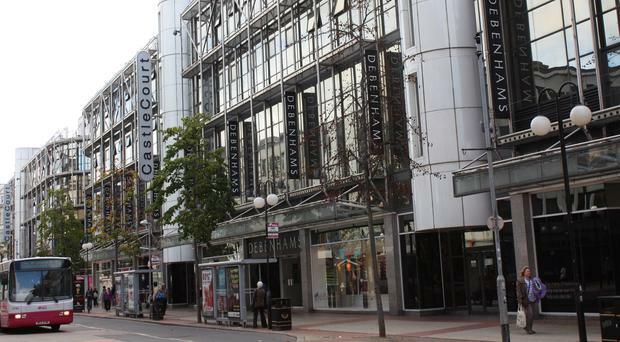 Debenhams has stores in Belfast, Craigavon, Ballymena, Newry and Londonderry. Asked if there were plans to close any stores in Northern Ireland, a spokesperson said: "We have no announcements to make on any store closures in our estate." Debenhams shares plunged 17% after KPMG was called in to help draft emergency plans to save the troubled retailer.